Jerry is a nationally recognized tax lawyer who advises clients on income tax matters, including foreign taxation of U.S. businesses and U.S. taxation of foreign businesses and investors. He is frequently referred matters from outside law and accounting firms on choice of entity issues related to domestic or foreign business operations, structuring as well as assisting in the negotiation of mergers and acquisitions, both taxable and non-taxable, joint ventures, financings, workouts and recapitalizations. He has advised domestic and foreign public and private business entities, including private equity firms and hedge funds. Jerry also advises clients on tax and related matters as well as on tax disclosures required for SEC filings, IPOs and reserves for contingent tax liabilities. His legal representation extends to the domestic and international wealth planning areas, where he represents high net worth individuals, including non-residents, as well as non-citizen residents of the U.S., on both U.S. and foreign income and wealth tax matters. Jerry regularly represents clients before the Internal Revenue Service, including trials before the U.S. Tax Court, the Court of Federal Claims, federal district courts and the Eleventh Circuit Court of Appeals, on a variety of tax matters. He has also represented taxpayers in both income and estate tax cases at the state level. Taxpayers also rely on his counsel for potential criminal tax investigation arising out of an audit or referral to the Criminal Investigation Division of the IRS. Notably, Jerry represented the Tax Section of the Florida Bar in filing an amicus curiae brief before the U.S. Supreme Court in a landmark tax case, Commissioner v. Estate of Hubert, 520 U. S. 93 (1997). He frequently works on behalf of clients with the National Office of the Internal Revenue Service to obtain a favorable private letter ruling, file an APA transfer pricing request, as well as file a request for treaty relief under the competent authority provisions of a bilateral tax treaty involving the United States and a foreign country. As a thought leader in the area of tax law, Jerry is a Life Sustaining Member of the prestigious American Law Institute (ALI) and regularly serves as program chair and speaker for ALI-CLE federal tax webcasts on various topics involving federal taxation and is chair of the Advisory Board of the ALI’s long-standing tax law journal, The Practical Tax Lawyer. For more than 30 years, he has served on the Board of Advisors of the New York University Federal Institute of Taxation August has been a guest lecturer at the University of Pennsylvania Law School and the University of Pittsburgh School of Law, and a visiting professor on corporate income taxation at the Graduate Tax Program of the University of Florida School of Law. Jerry is also a member of American College of Tax Counsel, the American College of Trust and Estate Counsel and the American Tax Policy Institute. Jerry is a frequent speaker and author on various federal tax matters on topics ranging from international joint ventures and mergers and acquisitions to foreign tax credits, tax consequences to expatriation, the use of defective entities in tax planning, partnership audit rules and partnership formations, among others. He frequently is asked to speak on tax procedure issues as well as the law of privileges in tax controversies and tax litigation. In addition to speaking at national federal tax law institutes and seminars, Jerry has authored more than 100 articles on partnership, corporate and international taxation published by national professional journals, including the Florida Law Review, Corporate Taxation, Business Entities, Journal of Pass-Throughs and Tax Notes. In addition to being listed on this website, his publications can also be found in Westlaw, Lexis-Nexis and RIA Checkpointe. He has been quoted in the Wall Street Journal, Tax Notes, Bloomberg News and other publications. Jerry also is a noted legal authority on tax controversy matters, including the partnership audit rules and the attorney-client privilege and work product doctrine. Recently, he has spoken at various tax institutes on recent business and international tax law changes, including the section 199A 20 percent deduction for qualified business income and the partnership audit rule changes on the domestic side, as well as on the repatriation of accumulated foreign earnings, participation exemption, GILTI and FDII provisions, and earnings stripping rules on the international side. Prior to rejoining Fox Rothschild, Jerry was a partner at Chamberlain Hrdlicka and at Kostelanetz & Fink, New York, NY. Before those positions, he spent 10 years as partner and co-chair of the Taxation and Wealth Planning Department of Fox Rothschild, where he worked from the firm's Philadelphia and West Palm Beach locations. He also was the chair of the firm's Tax Opinions Committee. 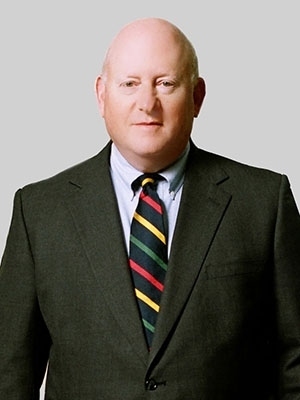 Prior to merging his practice with Fox Rothschild, Jerry was the majority shareholder in the tax law firm of August, Kulunas, Dawson & Siegel, P.A., in West Palm Beach, Florida, which he started in 1988 after serving as co-chair of the Tax Department of the Miami-based firm of Steel Hector & Davis. For more than 30 years, Jerry served on the Board of Advisors of the New York University Federal Institute of Taxation.